Language & Friendship offers personalized service, custom-designed travel, and family-stay programs abroad for language teachers and their students. 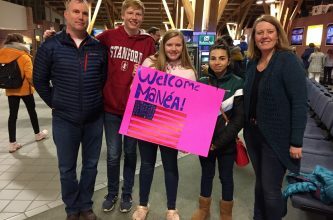 Language & Friendship offers short-term hosting opportunities for American families to welcome students and teachers into their homes and hearts. 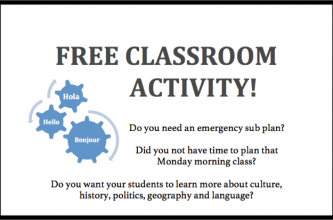 Our mission is to serve language teachers and their students and to promote global citizenship through quality educational programs including short-term travels, language-immersion family stays, and hosting opportunities. We value knowledge of other languages and cultures, an eagerness to improve communication skills, and a curiosity for learning. By encouraging growth and curiosity through hosting and travel, we help others develop an awareness of our roles as world citizens and move in the direction of a more peaceful world. 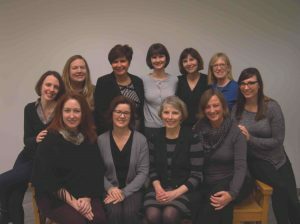 Language & Friendship, Inc., has a staff with more than 100 years of combined experience in intercultural and educational programs. Staff experiences include: advanced degrees in foreign languages; teaching experience at all levels; personal family-stay experiences; living abroad; leading students abroad; working at places such as Concordia Language Villages and other student travel programs. Language & Friendship, Inc. was created in 1988 by Naomi Thomsen to offer maximum personalized service and custom-designed programs. Naomi passed away in 2004. We are dedicated to carrying on Naomi’s passion for languages and friendships, and we invite you to share this journey. Naomi Thomsen, our founder, was presented in 2004 with the Chevalier dans l'ordre des Palmes Académiques, the French government’s highest honor to those who have advanced the cause of French culture and language. Language & Friendship, Inc. was granted the Pro Lingua Award in 1992 by the Minnesota Council on the Teaching of Languages and Cultures. This award recognizes outstanding service to and support of linguistic and cultural education by a person or organization from outside the language teaching profession in Minnesota. At L&F, we do what we do out of our love of languages, cultures, and a passion for travel. Our lives have been enriched by friendships formed through travel and living abroad, as well as by foreign visitors we have hosted. What are people saying about their L&F experience? What surprised our family most about hosting was how normal it felt to have another child in the home, the routine was nearly the same as it would be with our two children; it was very simple. We will never be the same; she is truly PART of our family, our French daughter/sister...we fell in love with her and she with us - it was the most rewarding thing ever! My daughter’s host family is absolutely perfect and I am getting tearful thinking how grateful I am that she was matched with such a good family! 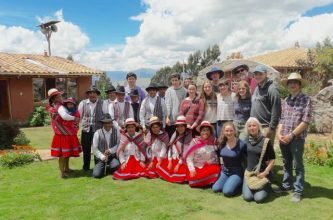 American students – Family stay in PERU!